Demystifying Colour For Your Interiors! A few years ago there was an amusing commercial on Indian television of a young couple trying to imagine a certain colour for their room, a heady combination of sunshine, summer mangoes and some candy, the spouse desperately tries to visualise the same in her head and fails! 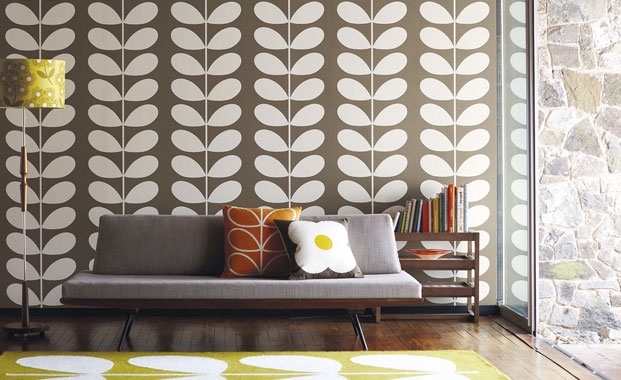 Choosing colours for your walls is always made out to be a daunting task. There is fear of being unable to foresee the outcome, lack of conviction in choice of a certain colour and the permanency of the choice of paint, to add to the woes is the cost factor. Which simply means you cant choose the wrong colour, so what do you do? 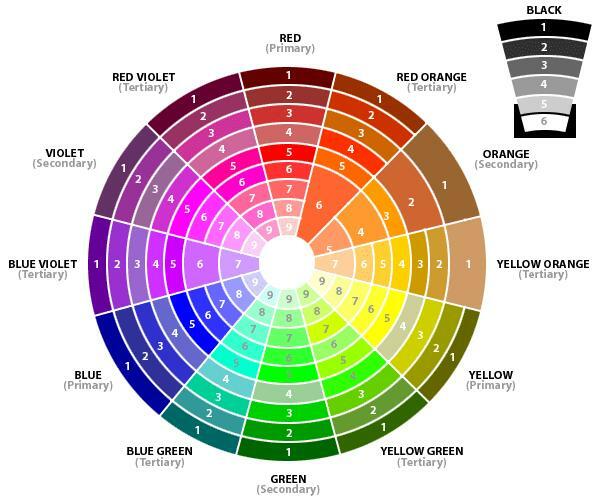 Its quite simple really, lets demystify the most basic tool, the color wheel. 3. Red + Blue = Purple. So now that we understand what the primary, secondary and tertiary colours look like from the above image, lets look into what the 3 circle differentiation means. 1. Hue : The center band of colour in the above image represents the true colour in it’s pure form and is called the Hue. 2. Tint : The inner most band of colour is the Hue mixed with any amount of White and is called a Tint. 3. Shade : The outer most band of colour is the Hue mixed with any amount of Black and is called a Shade. 5. Value : Value is nothing but the amount of black, grey or white added to the Hue to create varying Shades, Tones and Tints. 1. Size : In today’s world of diverse real estate options, you might have a small apartment, a big colonial styled house or a medium sized villa with both big and small rooms. Choosing the right colour can have a big impact on the space illusion. 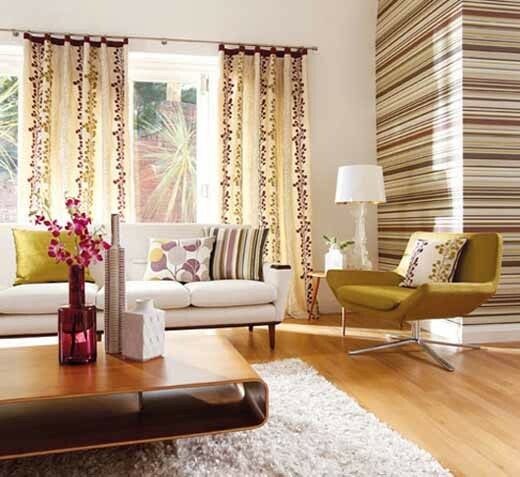 For a small room its advisable to paint lighter colours as they give an illusion of increased space. In larger rooms where you want to bring the walls together and create an illusion of close knit area, darker colours do well. Even rooms that are narrow and long can have darker colours painted especially on one accent wall to make it look wider and less narrow. 2. Natural Light : Any colour looks different during the different hours of the day depending on the light. It also looks different under lamps of varying types. A bold colour such as red or even a grey can make a room with less light seem even more dark and suffocating. 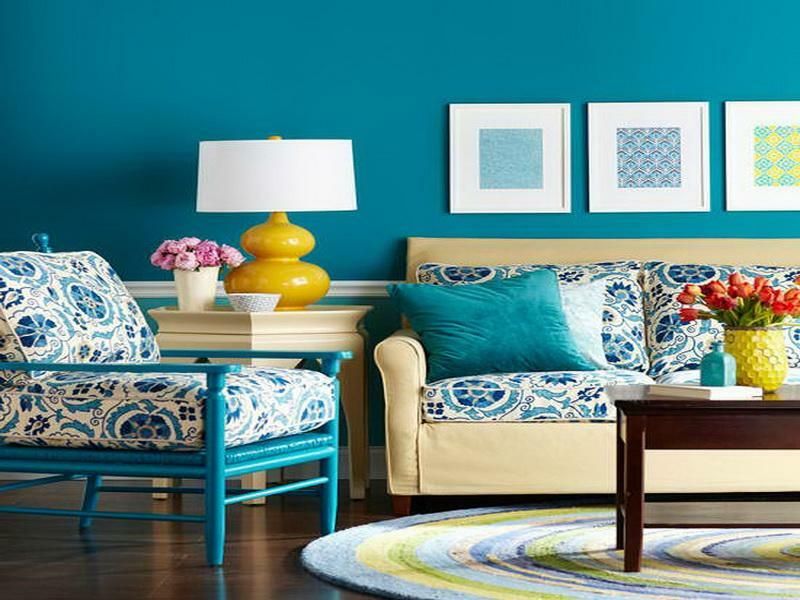 Warm colours such as yellow, amplifies light in the room and cool shades such as light blue soothes a very sunny room. Try the hue in 3 varying shades or tints across different parts of the room such as near the window, opposite to the window and in the darker corners of the room. Check to see how the colours look during the different parts of the day and in different areas of the room before you finalise. 3. Wall or Ceiling or Floor : While it is easy to imagine just about any colour for the walls. The ceiling and floors cannot afford such treatment. Ceilings are usually best kept light with less dark colours. Floors on the other hand can try more dark colours for a bold statement, that is of course if you need a painted floor. In India we hardly paint floors, unless someone has gone the traditional method with a red-oxide flooring. 4. Purpose of the room : Understanding the purpose of the room also helps in deciding the colour, as it sets the mood for the room like little else. The kitchen/dining area and the hall can do with different colours, so can formal and informal areas, or even intimate spaces such as the bedroom. 2. Orange : Rich, in India it is also a very ethnic color and goes well with brass /silver and bronze accents. Summery and energetic. 9. Grey : Dull yet versatile, calm, reminder of the monsoon times, great pair with another cool color. 10. White : Blank, reflects light, airy, empty, clean and precise. There are multiple methods to choose colour combinations or colour schemes. The complimentary colour scheme is the opposite colours that seem to make each other stand out more prominently. 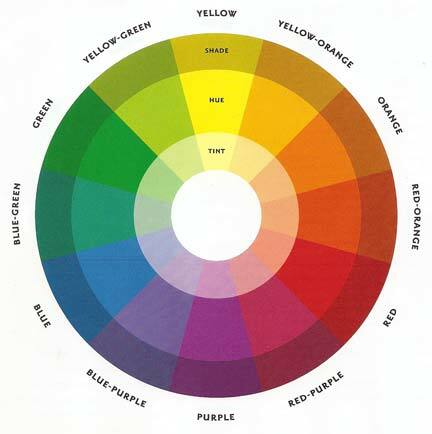 As seen in the colour wheel that would be the Blue and Orange, the Red and Green, the Yellow and Purpe/violet. They need not refer to the colour combination on walls but rather the elements of decor. Such as, a blue accent wall, grey companion walls and orange accents in the decor in the form of throw cushions and lampshades. The combination can be analogous, which is the colours next to each other in the colour wheel. Such as the blue and blue greens or the yellow and yellow greens or orange and red orange. So the room can have an accent wall in the colour 3 under the Orange and companion walls of the colour 1 under yellow orange. It can also be Monochromatic, which is represented by the tints and shades of the same hue, as shown in the colour wheel, it consists for example the dark to very light colours in the blue palette. 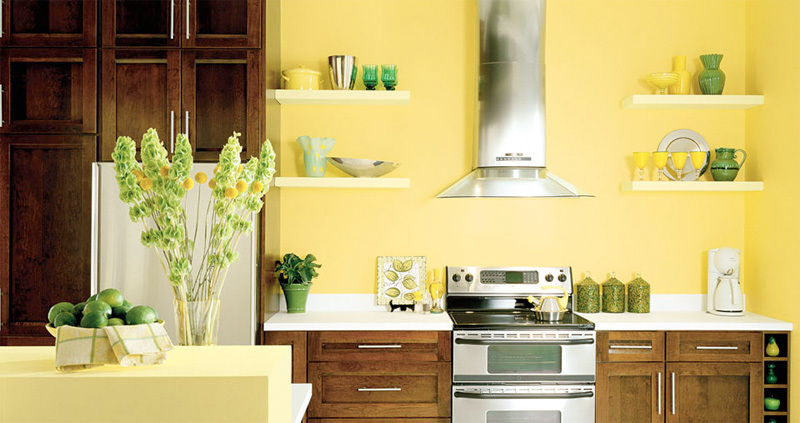 The accent wall can be a 1 under yellow and the companion walls in 8 under the same yellow. You just need to pick another colour while adding the ceiling into the mix. While initially testing waters, pick a bright colour of choice for the accent wall, a light colour from the same family range (analogous) for the companion walls and pick compliment colours (opposite colours in the colour wheel) for the decor accents. 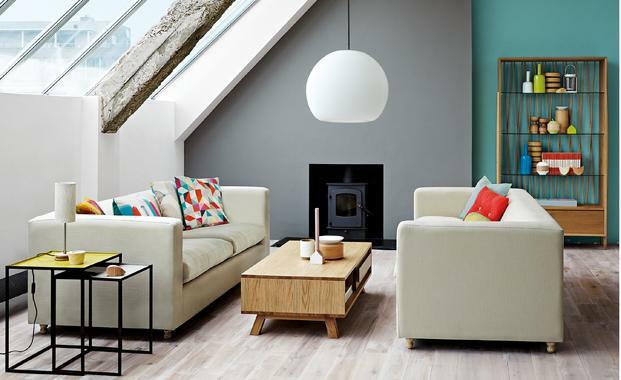 Let us take a look at some colour schemes that work beautifully. 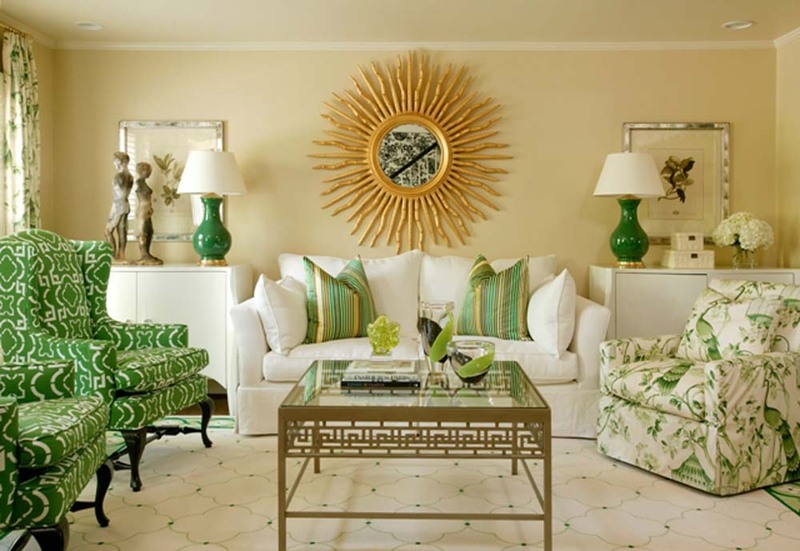 Green theme with white and gold accents work beautifully in this striking living room. Blue, yellow and white provide this vibrant and colourful living room. Red accent wall, rich wood texture and orange companion wall adds style and royal look to this dining room. Brown and red come together in this bedroom to create a sense of vibrancy along with calmness. Yellows, greens and browns work cohesively in this inviting kitchen. Yellow, purple and white work well in this living room through different elements ranging from the walls to the room decor items and curtains. 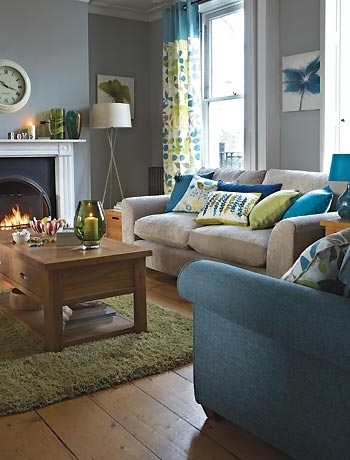 This living room is absolutely chic in a combination of Teal and grey with pops of colour in orange, green and white. Blues, greens and grey tones come together with the right proportions to ensure this living room does not feel less warm! Brows, greens and grey tones set the earthy feel to this modern living room. 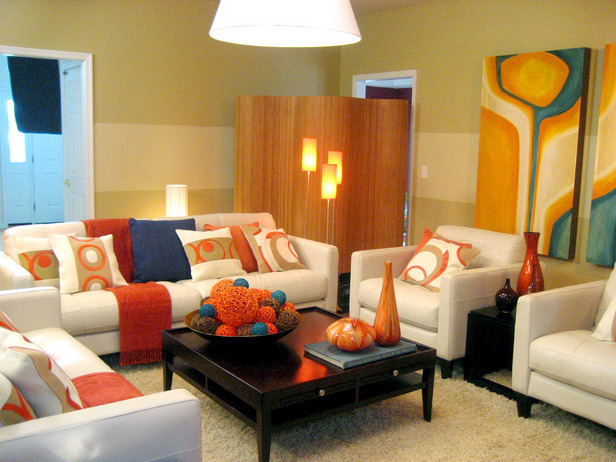 A warm and striking room in orange, white and touches of blue.